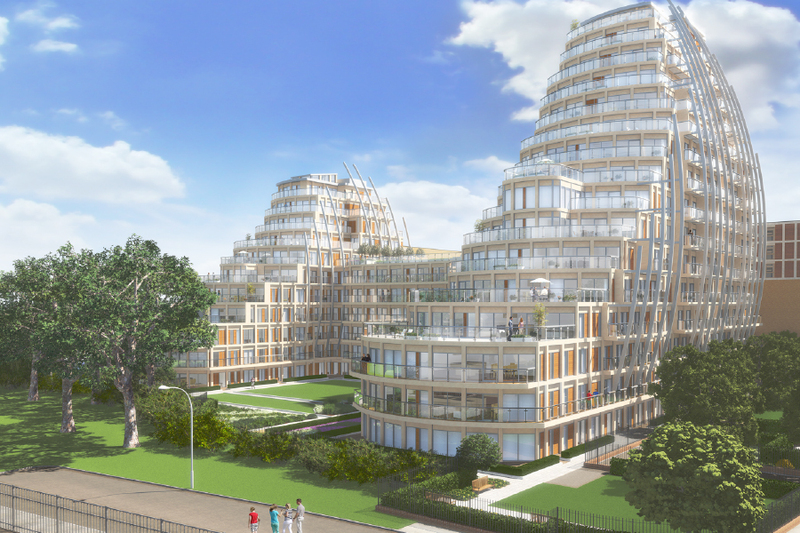 Kingston Riverside is a residential scheme of 1, 2 and 3 bedroom apartments located on the bank of the River Thames. The site was previously the location of the former Kingston power station and therefore required remediation due to contamination from it’s former use. Due to the riverside location the ground water table was above the basement level requiring consideration in both design and construction of the substructure. Fairhurst provided full civil and structural engineering services. As part of the design development process alternative basement options were explored that allowed the basement to be built in phases. De-watering was a key part of the considerations to reduce the surrounding water table during construction. Reinforcement was detailed to allow large pour to be completed with minimum laps, saving over 5% of the total reinforcement on the project.